Teaching With Love and Laughter: Fun Games! Now that we are wrapping up the school year (16 days left! ), my students are enjoying some really fun games. 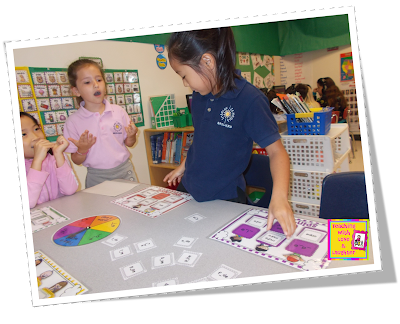 They haven't realized yet, though, that these fun games are helping them review and practice some important skills that they learned this year. Shhh! Don't tell them! Here are two games they have been playing. The first one is a digraph game. There are 6 colorful game boards, a spinner, and 40 self-checking digraph word/picture cards. You can put them all out or as many as you need for the amount of players playing the game. 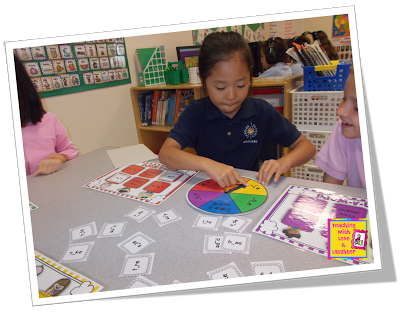 Students take turns spinning the spinner and finding the digraph cards. The object of the game is to be the first player to cover the board. But, there are some interesting twists and turns along the way. 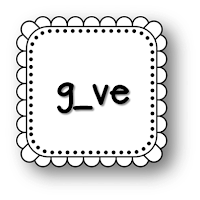 If you land on "give a card" you have to give someone else a card from your board. If you land on "take a card" you can take a card that you need from someone else's board. 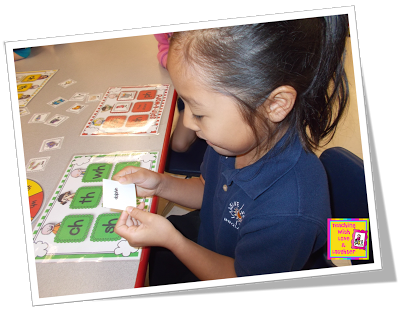 There is also a "free space" square, where you can put a card with any digraph. The game is self-checking. 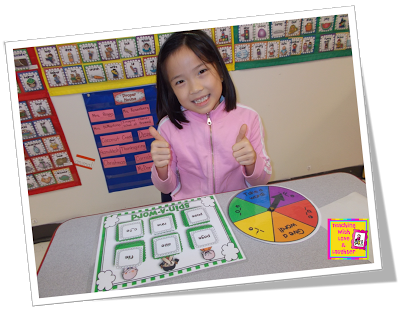 Just print the answers on the back of the digraph pictures. Here is the CVCe edition. It contains 6 colorful game boards, a spinner, and 70 self-checking CVCe word cards. 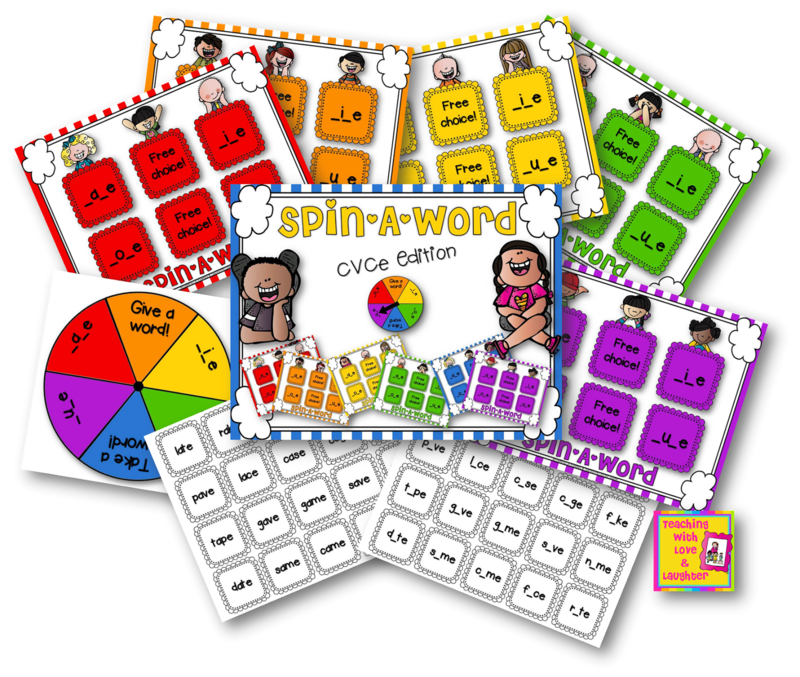 Each player spins the spinner and finds a CVCe word on the table that matches the pattern on the spinner. 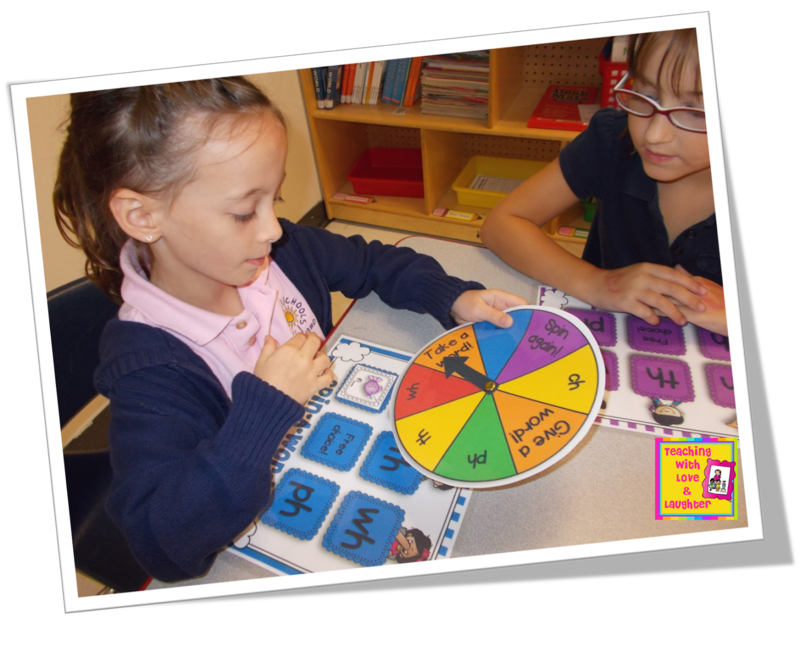 For example, if the player spins _a_e, they can choose the word late. The answers are on the back. 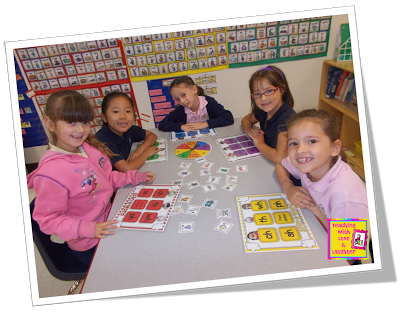 The game can be differentiated to accommodate all levels. For an easier game, the cards can be word side up. 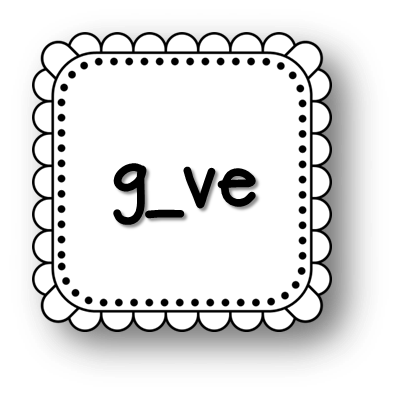 For a more difficult game, you would keep the side up that has the missing vowel. Then, they would flip the card over to check their answer. This game contains the same twists as the digraph game. Take a card! Yes, the sweetie in pink is trying to talk her out of taking one of her cards! But, she took it anyway! LOL! And, here is the happy winner! So, there you have it! 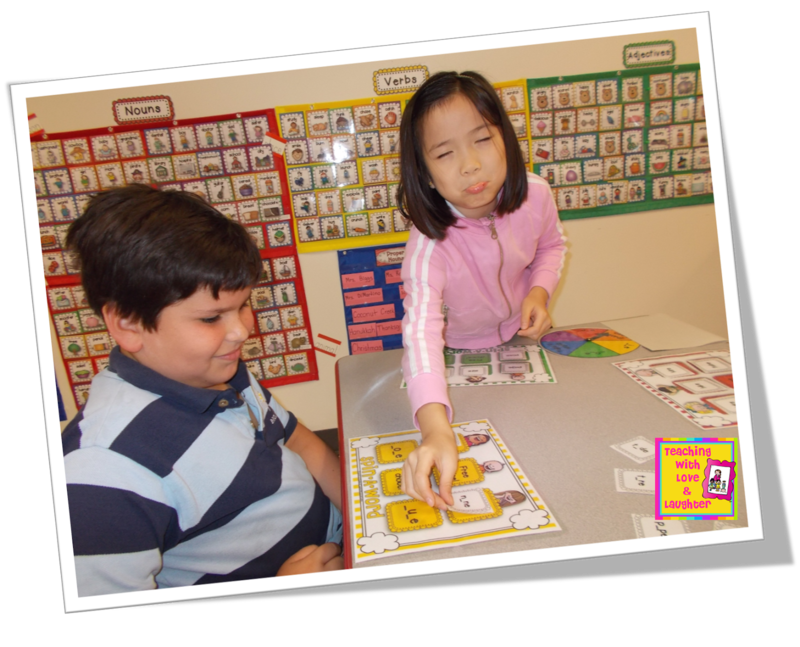 Two fun games that help reinforce valuable skills. The games are fun AND meaningful. 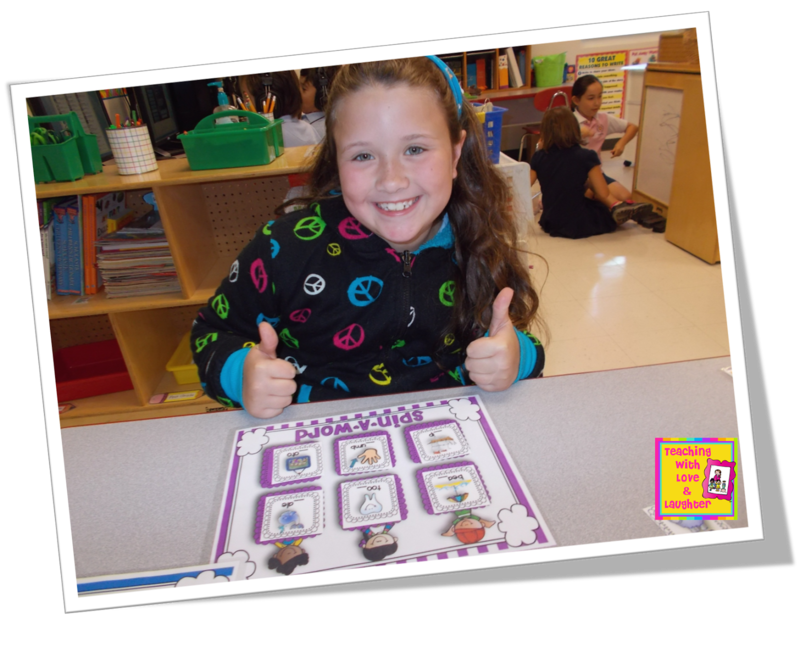 Here's a direct quote from one of my students: "Seriously, Ms. Rosenberg, you must make more of these games! Thank you, thank you, thank you!" The games also come with recording sheets. If you would like to see the games in my store, just click on each image below. They are both on sale right now! I'd love to give one of these games away. Just leave a comment below, with your email, and let me know which one you would want if you are the winner. I'll choose someone either today or tomorrow. Good luck! I just emailed the game to you! Looks likes your kids had so much fun! I'd love the CVCe edition. I love both games! If I win, I would like the digraph edition. These games look awesome!! I would love to win the digraph version! Your students are so cute! What great games they are! I would love to win the digraph version. Love these! They both look great, but if I had to pick I would want the digraph version. These are amazing!! I also love how you have your pictures of nouns, verbs and adjectives in pocket charts!! I am gonna do that for next year!!! If I am the lucky winner I would love the digraph version! Thanks a million for all you do!!! Both look fantastic! I would love the digraph version! These look great! I would love the digraph version! Oh, Lori! These are awesome! 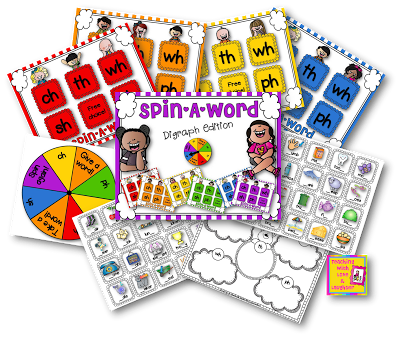 I love the twists and turns :):) If I'm lucky enough to win, I'll take the digraph edition! Thank you SO MUCH!!! These are fantastic! I would love to add the digraph edition to my first grade classroom! My email is teripodlesney@yahoo.com. What fun games for review! I love the cvce version! These are super cute. 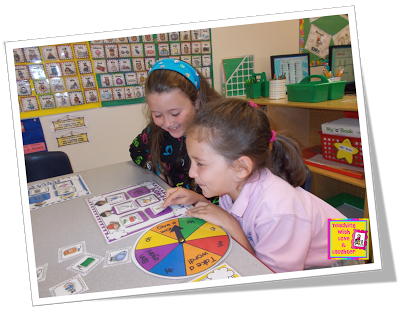 I'd love to win the digraph game set. We have 16 more days to go with kids!! WOW! Both games look fabulous! I'm not picky, I'd love either! We have 12 more days...but who's counting???? These are so fun! I'd love to win the CVCe edition. Thanks for the opportunity! Those kids look like they are having a great time! I would love a chance to win one of your great resources. The game I would choose is the CVCe game. That's always a challenging concept. Thanks you, I am happy to follow you! These look great! I would love either and wouldn't be able to pick if I won ;) I'd chance it! These are ADORABLE!!!! :) How fun!!! 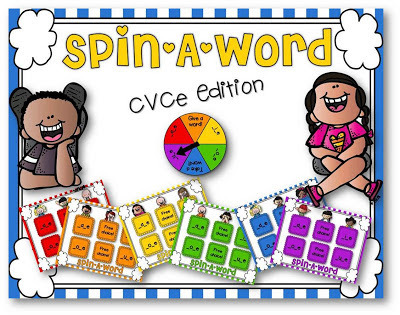 I would LOVE to win the CVCe games- I think my firsties would really enjoy them! These games look great. I know a group of students who would love and benefit from the CVCe game. Your products are fantastic and I have never been disappointed with anything I bought. Congratulations, Jean! I used the random number generator and your number won! I will email the CVCe game to you! I hope you enjoy it! That's just so darn stinking cute! I love it! I"m your newest follower!!! The games look wonderful! I think I would choose the digraph version! Cute idea! I would like the digraph version. Thank you! These look awesome! I love both, but would choose the digraph one. Thanks! These look amazing Lori!They both look amazing but I would I'm leaning toward the CVCe game. I am a Super Fan of yours! My students love using your products! I love both games, but since digraphs can be so tricky, I'd have to vote for that one. Thanks for having a giveaway! I love these games! 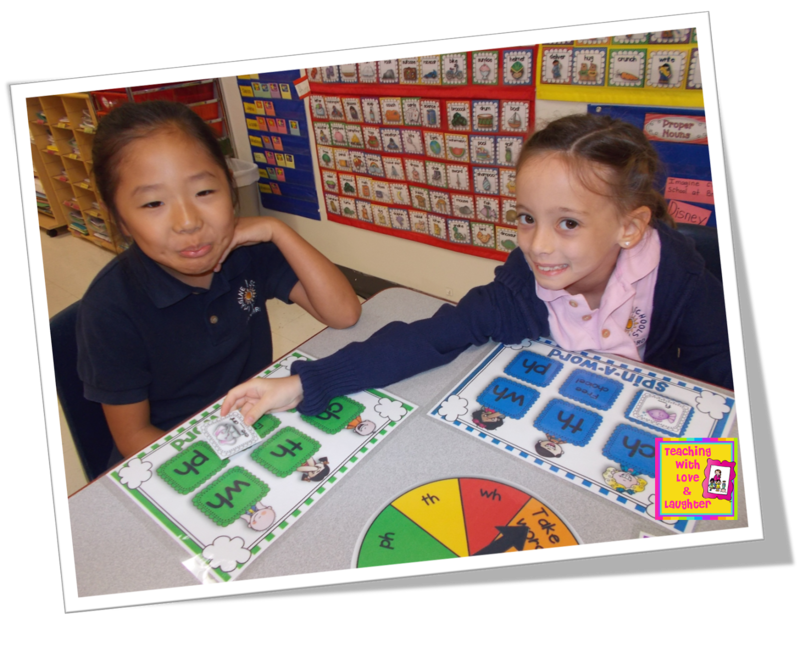 I'd love to try out your digraphs game. These game look wonderful!! I think I would like to try out the digraph game. You are so unbelievably creative! I would love to have the cvc-e game to review at the end of the year! These look amazing Lori-like they could be straight out of a teacher store! Beautifully done! We are soooo ready for summer but have quite a bit more than 16 days left! Enjoy!